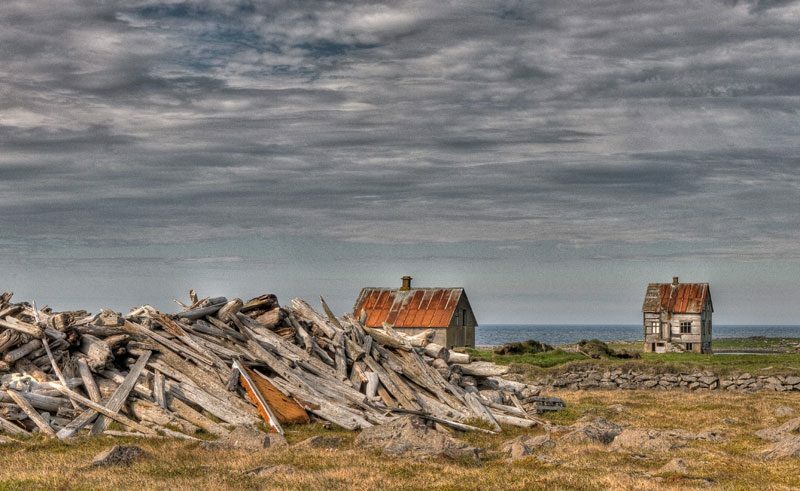 Land of Fire, Ice & Raised Eyebrows: Eight things in Iceland you won’t believe! 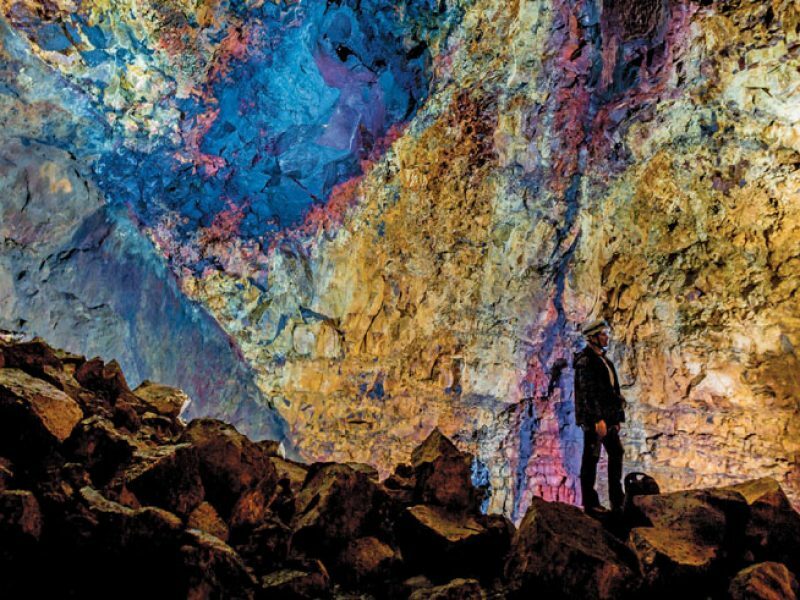 Big enough to comfortably swallow the Statue of Liberty, the magma chamber of Thrihnukagigur (a dormant volcano near Reykjavik) is a technicoloured subterranean dreamworld that visitors can experience on an ‘Inside the Volcano’ tour. 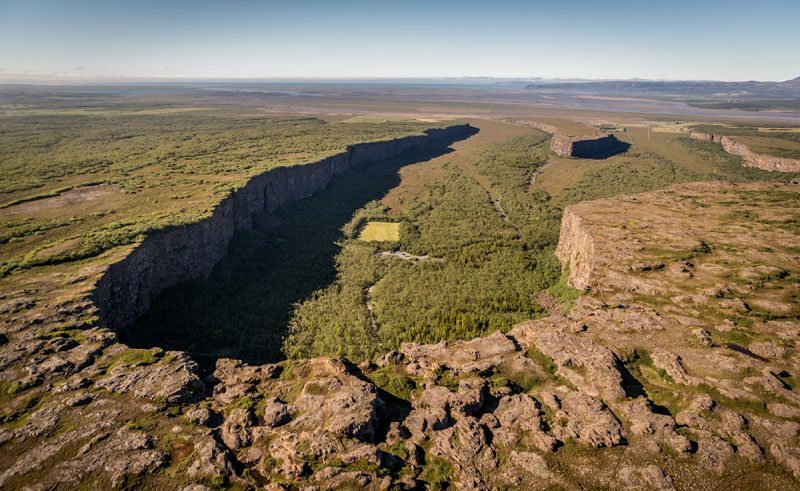 You’re lowered in an open elevator into the depths of the sleeping giant that last erupted 4,000 years ago. 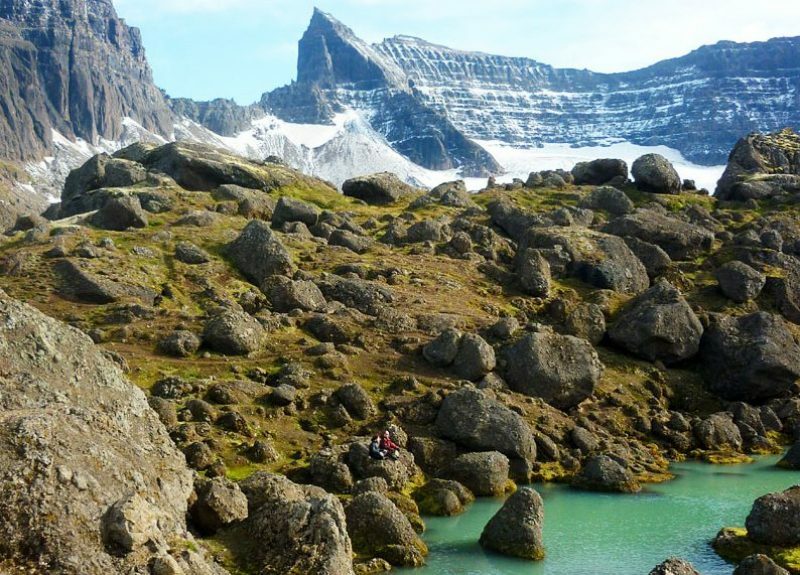 A remote valley in the East Fjords, Storurd is framed by saw-tooth peaks and jumbled with giant boulders, partly flooded by a turquoise lake. Catastrophic aftermath of a tiff between trolls or the result of a colossal Ice Age rockslide – you decide! One thing is certain – the stunning mountain scenery in this remote corner of Iceland is fast becoming one of Europe’s hiking hotspots. 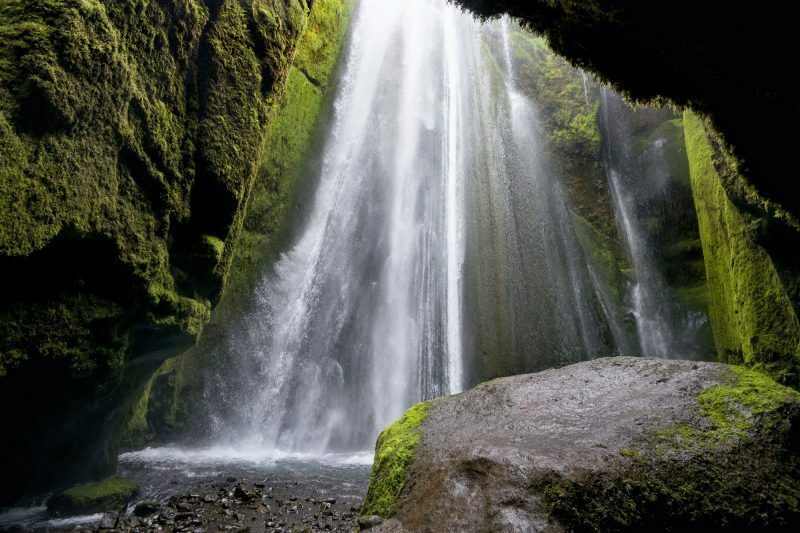 Shying away from the crowds at nearby Seljalandsfoss (one of Iceland’s A-list celebrity waterfalls), Gljufrafoss has quietly carved itself a mossy chamber hidden by cliffs. Squeeze through a narrow gap and you’ll discover one of the most secret and enchanting waterfalls in the country. With at least 30,000 waterfalls in Iceland, we expect there are others just like it waiting to be discovered. 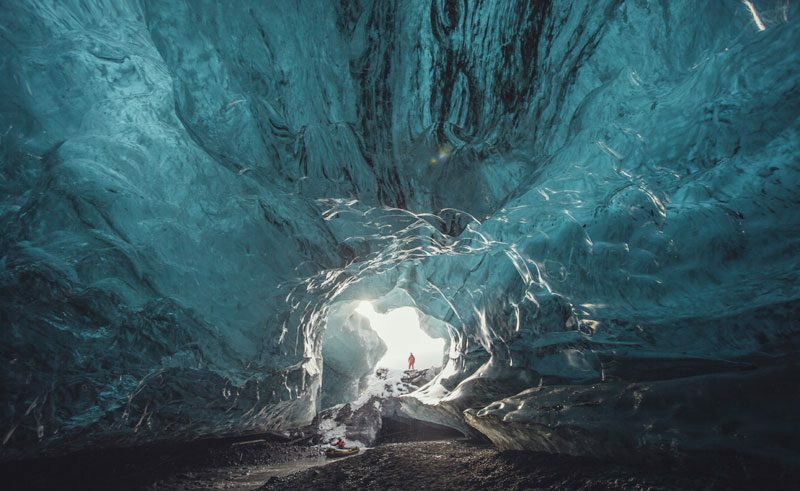 Superman would feel right at home in the ice caves of Vatnajokull. The extraordinary caverns – with walls and ceilings of intricately sculptured cerulean blue ice – have been created by hot springs and meltwater streams along the icecap’s edge. Expert guides lead you on spellbinding tours. Crampons, helmets and headlamps are provided. Bring your own Superman cape. Iceland’s ‘French Town’ (even the road signs are en Français), Faskrudsfjordur was a base for 5,000 French fishermen from the latter part of the 19th century until 1935. The former French hospital houses an emotive museum recounting the seafarers’ tales. On the eastern flank of wild and forgotten (Arctic Fox Plain), the fishing village of Raufarhofn huddles in the lee of northerly winds. Nearby, catching the rays of the midnight sun, a newly built pagan monument – the Arctic Henge – is being erected. Formed either by a catastrophic flood, or an errant hoof of Sleipnir, the horse of the Norse god Odinn, the semi-circular canyon of Asbyrgi shelters a peaceful birch wood – perfect for a walk and a picnic. Stand atop the Londrangar Basalt Cliffs and you can enjoy a mesmerising view along the coast of the Snaefellsnes Peninsula near Hellnar, dominated by a pair of basalt columns over 60m tall. At first glance they resemble sea stacks – but look closely and you’ll soon realise they’re trolls. Discover weird and wonderful Iceland for yourself! 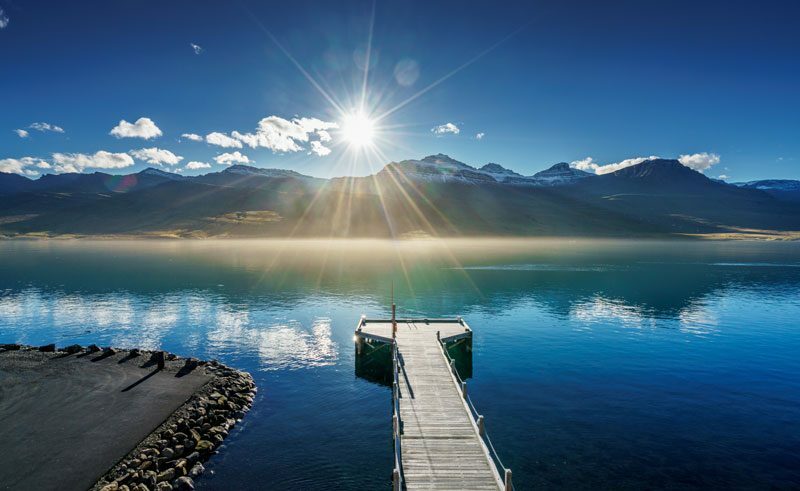 Experience the land of fire and ice for yourself on a weekend break or a longer escape. Speak to a Travel Specialist on 01737 214 250 or send us an enquiry today.